Philani is one of the oldest and most well-known projects in Khayelitsha. It was founded by a medical doctor from Sweden in 1979. 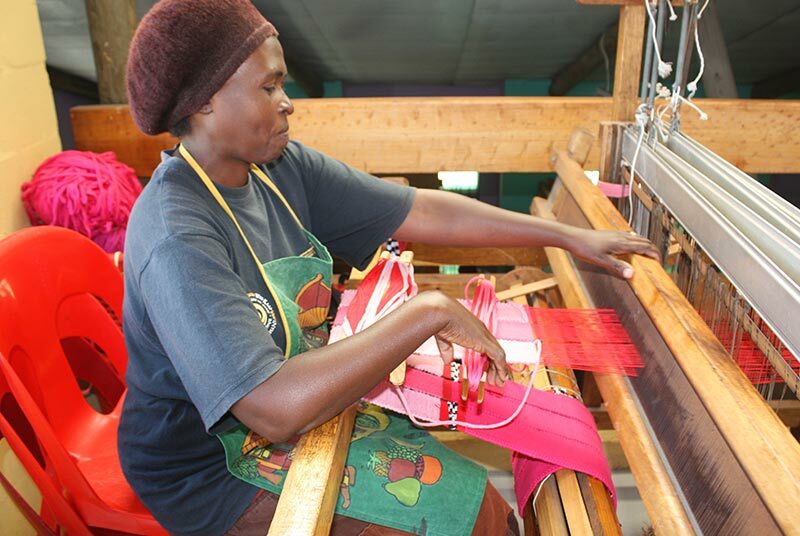 The project helps single mothers, mothers who are HIV-positive and foster mothers of AIDS orphans to generate an income. The project is visited and supported by advocates such as Queen Elizabeth II, Princess Madeleine of Sweden, the Dalai Lama and former First Lady of the US, Laura Bush. A special aspect of this project is the integrated kindergarten, which allows mothers to work her, knowing that their children are taken care of on the same property. Medical help and advice for a healthy nutrition is also available in this project. 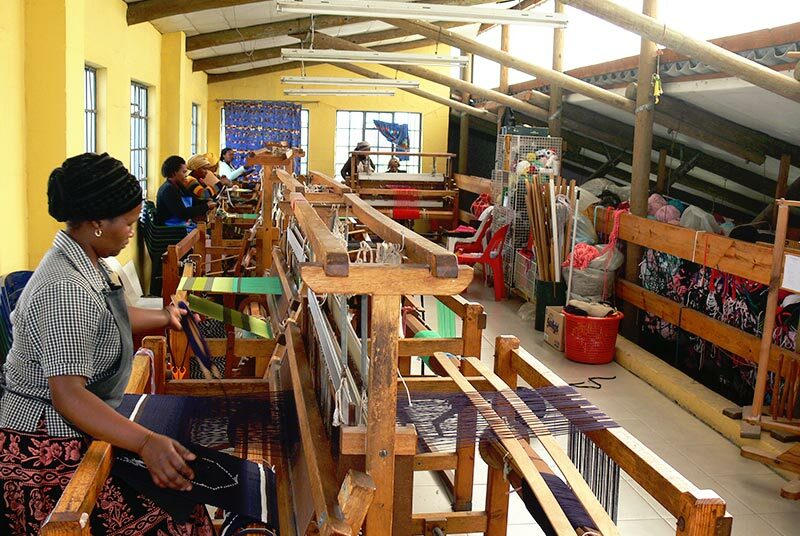 The mothers mainly manufacture hand woven tapestry, runners and carpets. Others print on fabric and manufacture table cloths or aprons. All products are sold at the shop of the project, the mother who made the sold item will get a share of the price. © Copyright 2018 - Hajo's Lodge & Tours | All Rights Reserved.